This project was inspired by what my family thought was a very odd purchase at an estate sale for $2. An old mesh screen framed in old wood. It was love at first sight to me. As soon as I saw it a hundred ideas flooded my imagination of what could be made with it. After a couple weeks of pondering, I settled on the idea of a garden wall. My aloe plant (that had a bunch of babies last year) was ready to give birth yet again. 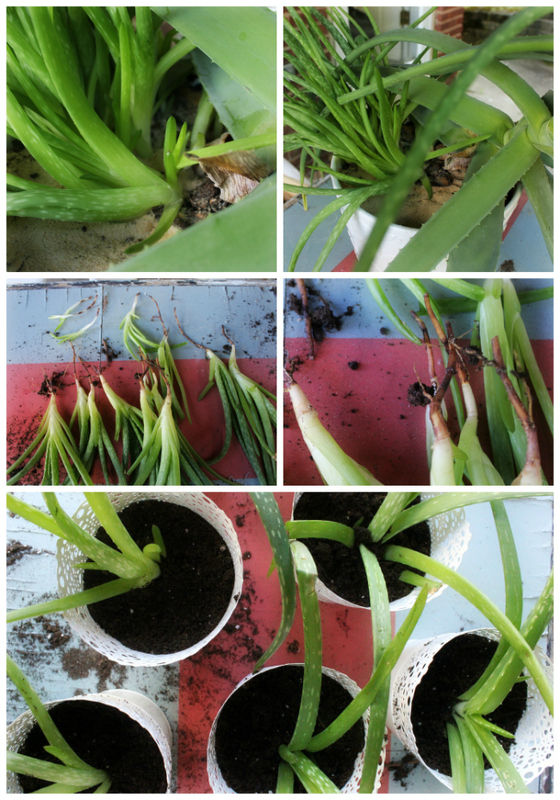 Check out my post about separating your aloe plants here. 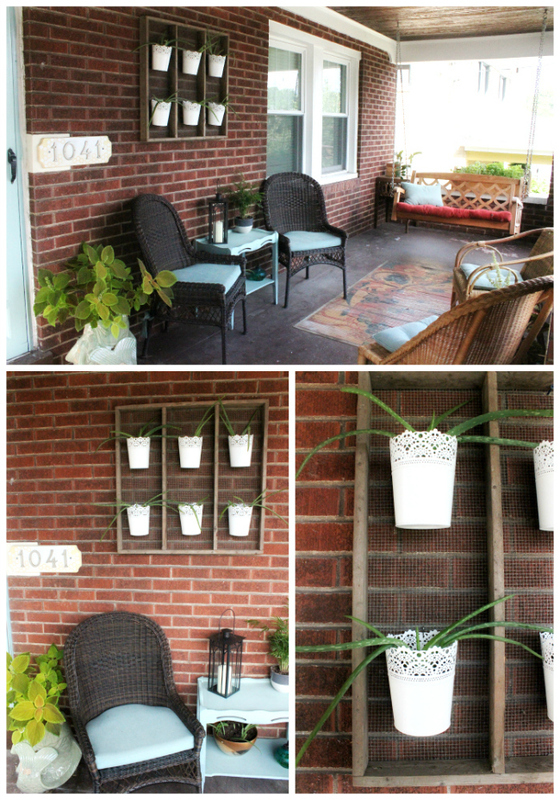 This little wall piece was going to give me the perfect place to display my new potted baby aloe plants. I had seen these little white aluminum pots at Ikea months ago and knew they'd be perfect for this! A tiny S-hook would fit perfectly in the little holes around the top. They'll also be great to pull off this wall during the colder months and bring the plants inside where it is safe and warm. I love this project because it can be made appropriate for any and all seasons and holidays! I love this. It is a great idea with a beautiful result. Now I have to scouting for an old screen! 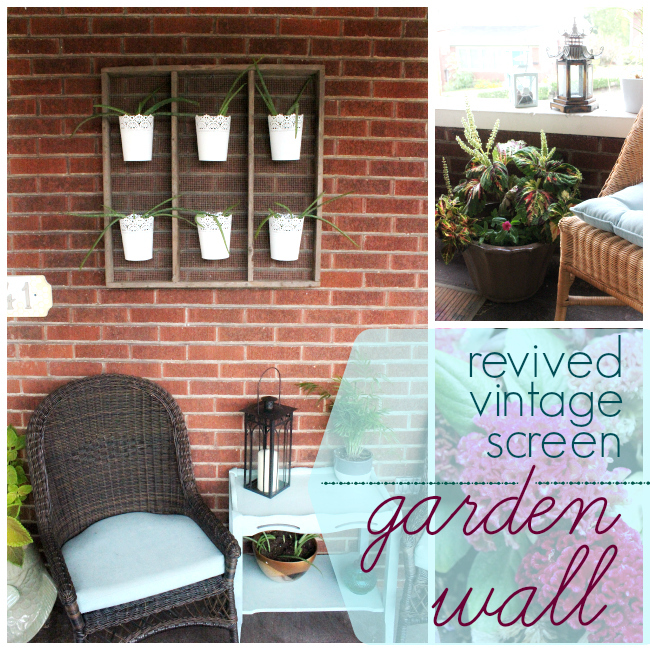 What a great idea to use an old screen! It's lovely with the pots attached. Great job! 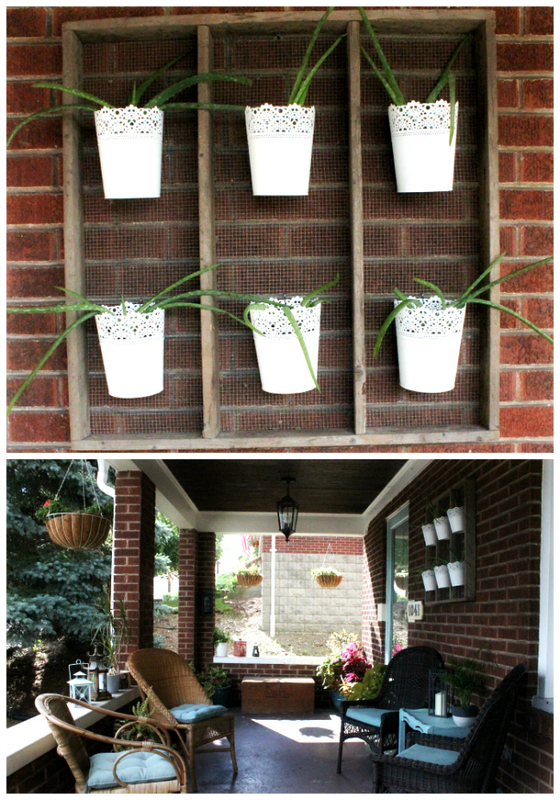 Love this idea - pinned for future use in my back patio makeover! 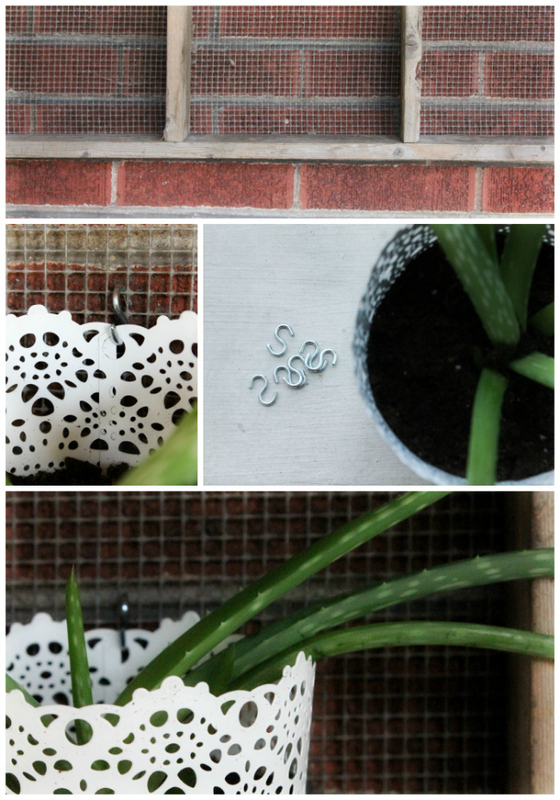 what a great idea - and it looks fabulous with the little ikea planters!